Regular check-ups and cleanings are not only vital to your dental health, but to your overall well-being. Healthy, sparkling teeth can boost your confidence and prevent disease. When you come in for your check-up, you’ll get more than just a one-time cleaning – we’ll set you up with a personalized dental treatment plan that addresses your whole health. New Patient Exams – On your first visit we’ll thoroughly examine your teeth and gums, take a full medical history and X-ray your mouth. We’ll analyze your bite and check for any jaw abnormalities. Finally we’ll explain our findings and discuss a treatment plan. 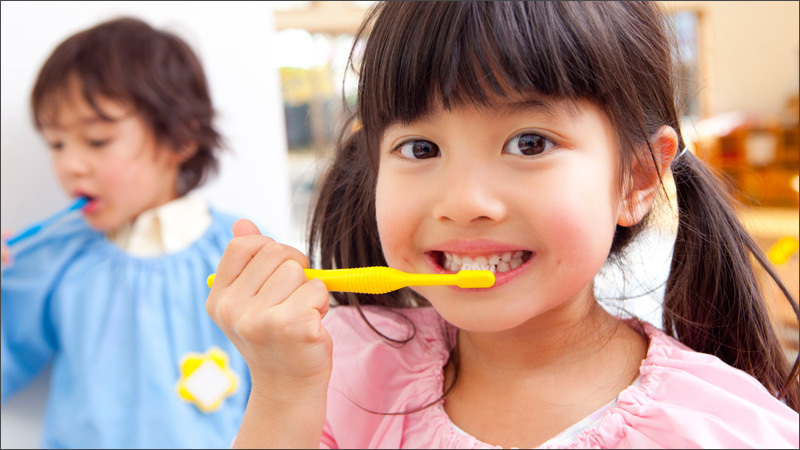 Fluoride Treatment – Acid-producing bacteria collect around the teeth and gums in a sticky, clear film called ‘plaque’ which is responsible for tooth decay. We clean with fluoride to reduce plaque, prevent cavities and also repair teeth in the early, microscopic stages of disease. Root Planning or Deep Cleaning – Similar to scaling, root planing is performed by hand. We use scaling tools below the gum pockets to remove plaque buildup. Sensitive Teeth & Desensitization – If you have sensitive teeth, we will first suggest special toothpastes and rinses to reduce sensitivity. If sensitivity persists, we can apply a fluoride varnish to protect your teeth, which temporarily reduces sensitivity and strengthens your teeth. Irrigation – Oral irrigation uses a jet-stream of anti-bacterial fluid to clean below the gum line, removing plaque and tartar that brushing and floss can’t reach. Tooth Polishing – Tooth polishing is the finishing touch. We smooth the surface of your teeth to make it difficult for cavities to form.